Stalled on the railroad tracks in Lubbock, Texas sounds like the beginning (or end) to a bad country and western tune. But that’s exactly where these two black old lesbians found themselves on a chilly November eve, less than a week after Trump was elected. 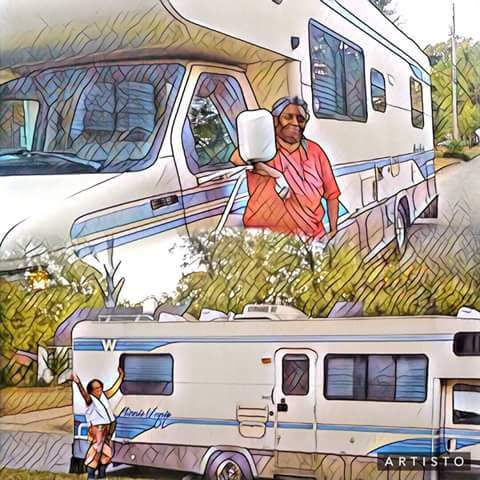 I’ve taken a while to share this story as Kathy and I know many of you worry as we undertake fearless, serendipitous travel in our 1994 Minnie Winnie RV. 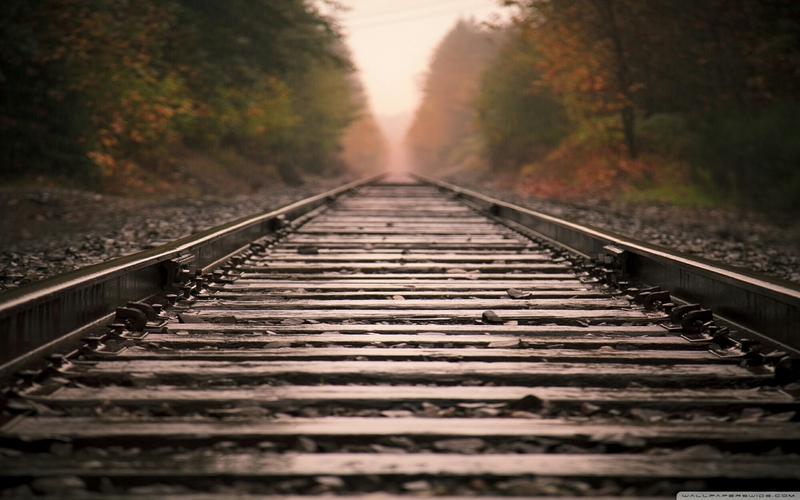 As we sat, stalled, on those tracks we were a little worried too. But that’s when our angel showed up. ” Call me Bear”, said the six and a half foot biker dude. He had a beard down to his belly, a skull and crossbones bandana and a confederate flag proudly emblazoned on the big dooley truck he stepped down from. “This is not exactly the guy I was hoping to see.” Said Kathy as he approached our Winnie. “You stuck?” He kind of growled at us. “Son, get the chain!” Turns out this kind of scary dude was a highly skilled mechanic and one of the kindest human beings I’ve ever met. 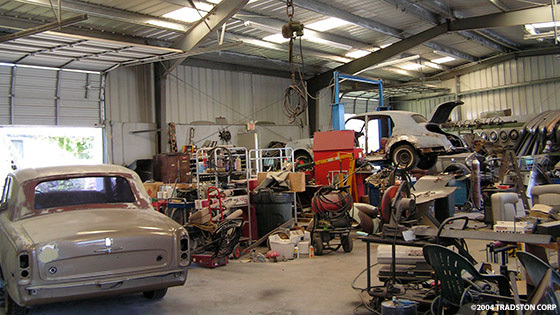 He towed us to his home which had a four car garage set up as a automotive repair shop. Yes, there was a Confederate flag flying there too but I was starting to feel more comfortable with this clearly Latino man and his shy, polite son. After a brief conversation with the mechanic in Montgomery who had supposedly fixed all of Winnie’s problems; Bear quickly diagnosed the source of the trouble. In the chill and the dark he manually, laying on the ground, (he didn’t have a lift big enough to accommodate Winnie) pulled our enormous and heavy gas tank and replaced the faulty part. This took over four hours, delaying his trip. He was on the way to Amarillo but had turned around to help us! While he worked he shared with us his hopes for his son (not to be a mechanic) and his love of travel. We were expecting a hefty bill, commensurate with the time, labor and after hours situation. We were floored when he only asked for $200. We were happy and grateful that we were able to give him more than that. I don’t usually have morals to my stories but this one had a clear lesson for me. To look beyond appearances, to listen for commonalities and to delight in the angels we find along the way. What a delightful story and so true, we do tend to lead with our eyes. We should all look past what we see to the soul of each individual. Thank you for this lesson learned. Wonderful story, prejudice-busting, heart-warming. Open minds, open hearts. Thank you. We really weren’t in a position to be anything other than open. Bear and his son were unusual angels to us. We are grateful. Happy Holidays.